I have decided to write a series of blog posts on my photography heroes, the photographers whose work has influenced me. This series will be semi-historical to start with and then we will see where it takes us. First up is Joel Meyerowitz. This series is in no particular order of influence, just as and when I find material on the relevant photographers. I like Joel’s take on life and I had the pleasure of spending a few minutes with him once and what I got from him was his sense of wonder at the world. He is always looking and ever curious. There are numerous videos of him talking about his approach to street photography and photography in general on youtube (list at the bottom of this post). He is highly engaged and very happy to explain his process and way of working. 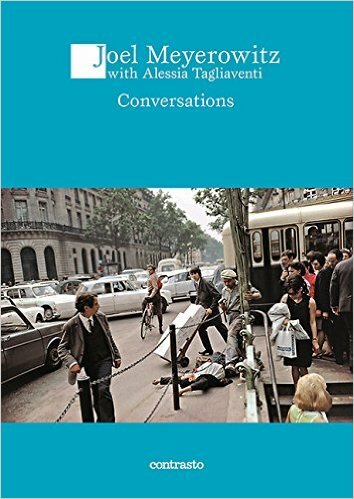 He was a early proponent for colour street photography, he felt that colour gave more description in the image and he wanted to have all the information, whereas he feels that Black and White images do not give enough information. In his development as a photographer he discusses how he decided to further his skills by giving something up. In one video, he talks about that being the incident in the photograph. Because he knew how to make these photographs BY trying to give up the idea of photographing the incident. To try to “make an overall photograph, where everything in the frame was content” looking for multiple incidents happening simultaneously. He is a photographer who was not afraid to develop his photographic practice in different directions using both Large format and Leica rangefinder cameras doing landscape and street photography and more recently he has been doing still life images with a Leica S medium format camera. He also made portraits, I like photographers who are not afraid to keep pushing themselves, continually seeking to develop their ways of seeing and working. I think this is important because as artist/photographer/person, we are always evolving . I like how Joel is restless in his search for images, ever inquisitive. That I think is important as a photographer, to be always looking and engaged with the world. He has embraced digital and not been afraid to change and develop adopting new working methods and ways of engagement. I like how he has no problem say who influenced him and that it was a Photo session with Robert Frank that changed the course of his life from being an art director to that of photographer. In a talk that he gave at the photographers gallery a piece of advice he gave was that photographers should do what ever it takes to make as much money as possible in as short amount of time so that they are free to concentrate on making their own work. I think this is very sound advice. You need to as a photographer make the work that inspires you and not the work that inspires a client because at the end of the day you are the one making images. If your images are good enough you will be making work that solves yours and your clients visual needs. YouTube videos with and about Joel Meyerowitz. What I learnt from Joel Meyerowitz. Be ever curious and inquiring, when making images don’t just stand in one place, move be agile on the streets. Don’t always look for the incident in the photograph, can you include more in the frame before the images falls apart and does not work. Cape Light (Amazon USA link), (Amazon UK link). 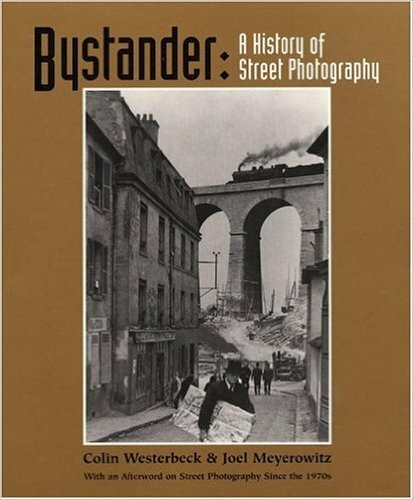 Bystander: A History of Street Photography with a new Afterword on SP since the 1970s (Amazon USA link), (Amazon UK link). 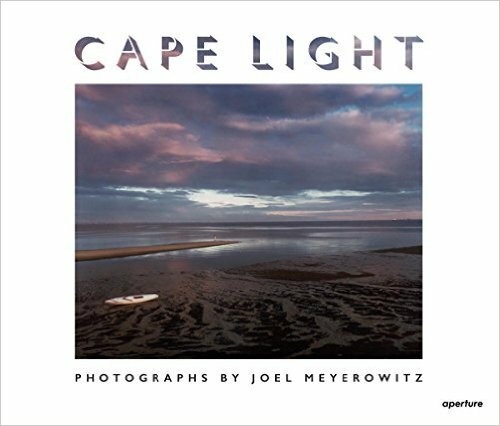 Joel Meyerowitz (55s) (Amazon USA link), (Amazon UK link). 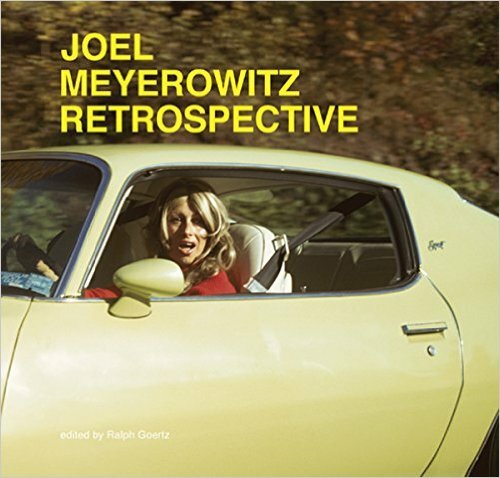 Joel Meyerowitz: Retrospective (Amazon USA link), (Amazon UK link). 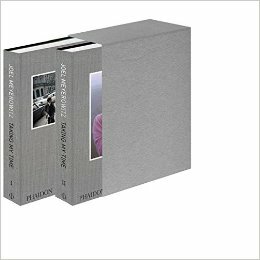 Joel Meyerowitz: Taking My Time (Amazon USA link), (Amazon UK link). 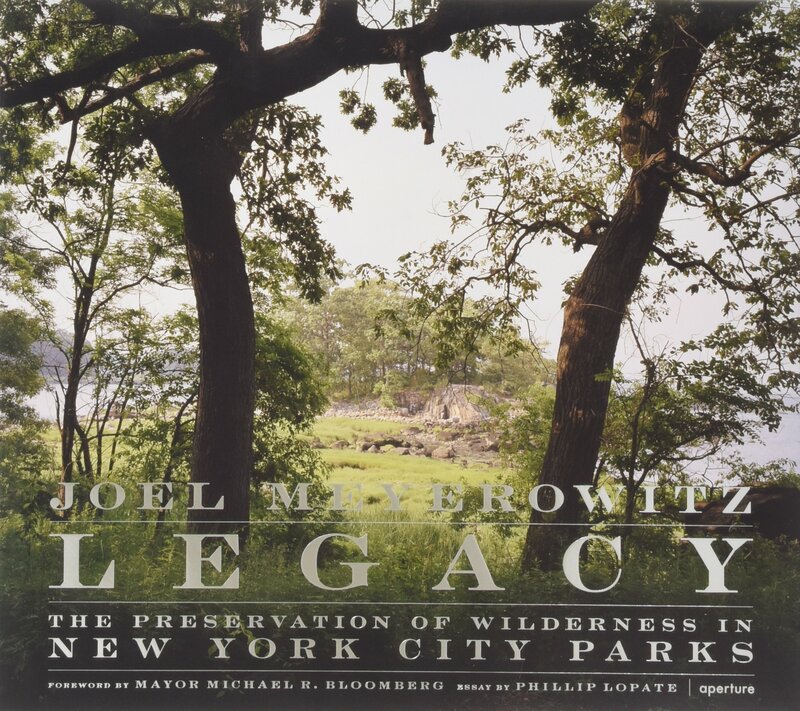 Legacy: The Preservation of Wilderness in New York City Parks: Photographs by Joel Meyerowitz (Amazon USA link), (Amazon UK link). And one book I am looking forward to being able to read.